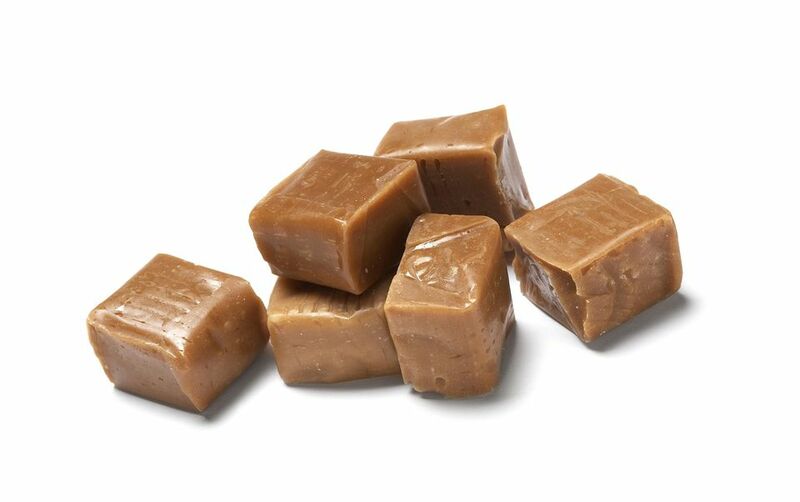 Vanilla caramels blend two classic tastes in this old-fashioned favorite. One cup chopped nuts can be added for variety, and vanilla extract can be substituted if vanilla paste is unavailable. Prepare an 8-inch square baking pan by lining it with aluminum foil and spraying the foil with nonstick cooking spray. Combine the sugar, half and half, corn syrup, butter and salt in a large saucepan. Cook over medium heat, stirring constantly until the sugar is dissolved and the mixture starts boiling. Continue cooking, stirring occasionally, until the mixture reaches 244 degrees on a candy thermometer. Immediately pour into the prepared pan. Allow to set at room temperature until completely firm. Chill in the refrigerator for 1 hour, and then cut with an oiled chef’s knife into small squares.